Home Knowledge base User Guide to CS-Cart "HTML5 Product Designer" add-on How to activate HTML5 Product Designer tool for a specific product? 1. Check if the HTML5 Product Designer is active in the add-on settings. 2. 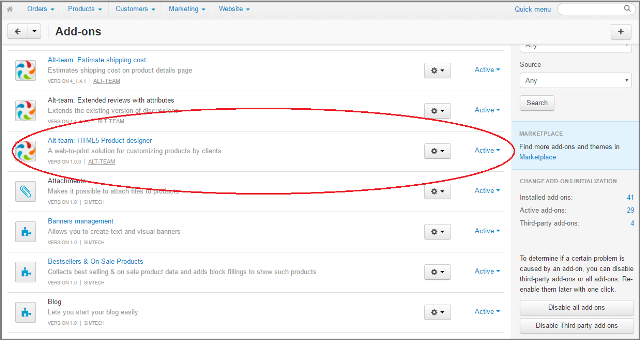 In the admin panel go to Product editing page -> tab General. Scroll down the page for "Extra" section and set a value for "Product details view" field - >"Product designer template". 3. On the product editing page, select the HTML5 Product Designer tab. Click on the "Enable for this product" checkbox. 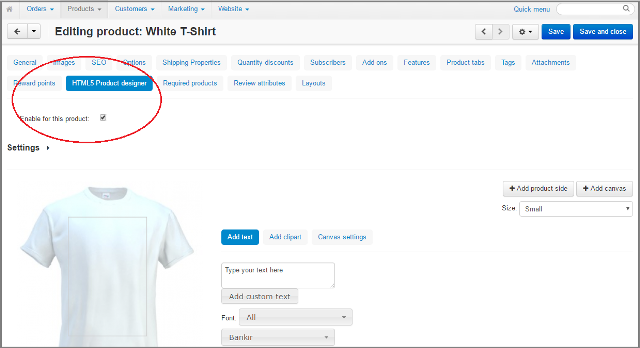 That's all, your customers can use HTML5 Product Designer tool on the product page in the storefront. Note! 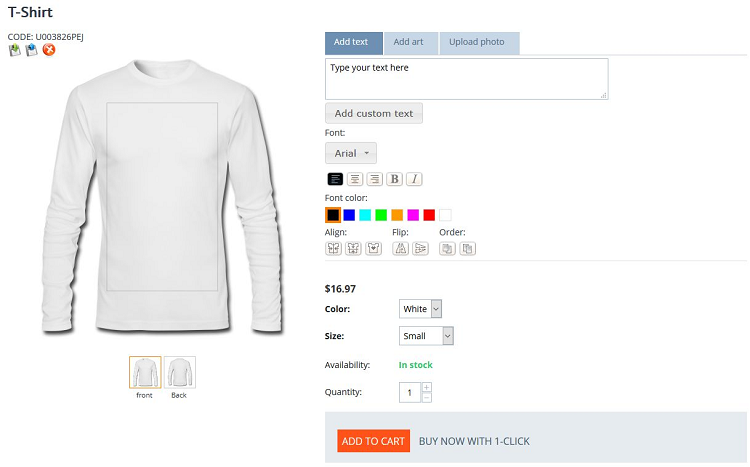 Don't forget to specify the add-on settings and to add product side and canvas.